Please fill out the form below with your specific order. After you submit your order a representative will contact you with full pricing details as well as further instructions within (1) business day. 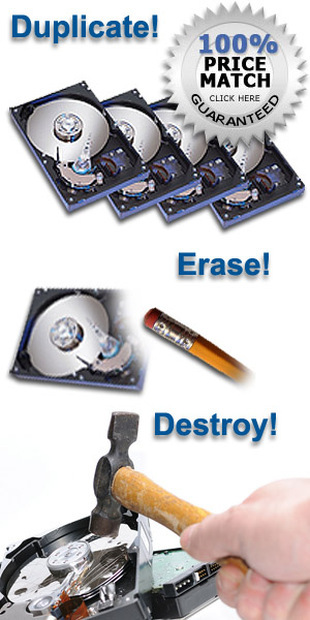 You will be required to send us all the hard drives you wish to be copied, erased, or destroyed, with clear instructions. Please refer to the price sheet for service pricing and also describe your project in the “Additional Comments” area if there is any additional information we should know about.